There will be lots happening from 12 noon, with Manx and Bulgarian dancing, music, local crafts, Crosby Silver band, local choirs, the Cathedral Choir, Manx pipes and drums, mulled wine, food, and Father Christmas will be giving out sweets and tangerines to all the children, in the Market square, courtesy of Horne’s seafoods and William Caley at Isle of Man Seafoods who are sponsoring Santa’s goodies. The Glenfaba Masonic Santa’s Sleigh will be travelling the streets in Peel again in December so Father Christmas can meet all the children with some sweets and tangerines; dates and times soon. 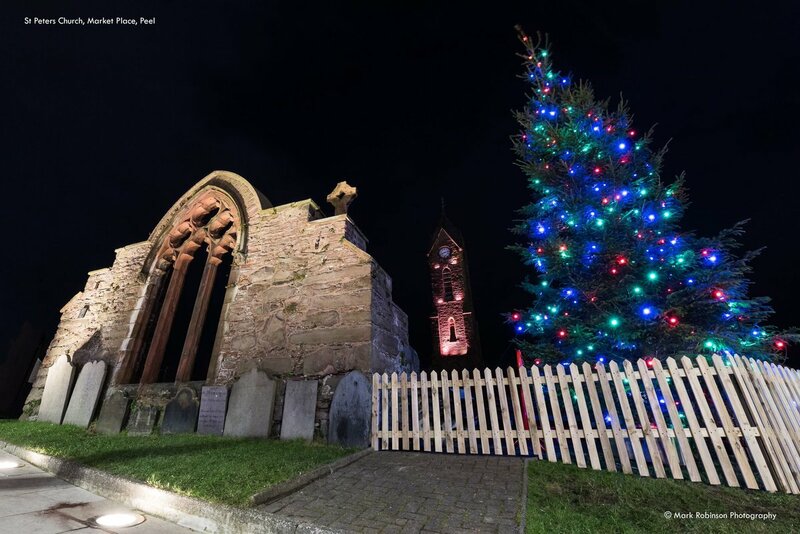 St Peter’s Church will be coloured Pink for cancer awareness on the day and there will be carol singing before the lights switch on so everyone can have a sing followed by fireworks.